Browse the Seacove Resort Coolum frequently asked questions by selecting a category below. If you have a question that is not listed, please contact us. A valid credit card is required on check-in as security over the apartment or a $200 cash bond where a credit card is not available. Please note, a Visa Debit Card is not a Credit Card. Late Check-in can be arranged prior to arrival. Arrivals after 9-00pm attract a late arrival fee of $20-00 - payable on arrival. Late check-out may be arranged subject to availability. A late check-out fee may apply. Low Season - A $100 deposit is required at the time of booking with the balance payable on arrival. Mid and Peak Seasons - $200 deposit is required at the time of booking with the balance payable on arrival. We have a tours desk located at reception so stop by and purchase all your attraction tickets with us. The best part of a pre-purchased ticket is not having to wait in line. WiFi is provided by Tomizone and is available to all apartments and pool areas for a charge. All linen and bath towels are provided. You may like to bring your own beach towel or alternatively we do hire beach towels at reception for your convenience. For stays over 8 nights, your apartment will be serviced mid stay. Our pool is heated during the winter period to approx 24 degrees and our outdoor spa is heated to between 32 – 35 degrees all year round. Q: How close is Noosa Heads & Mooloolaba? Noosa Heads is located about 20 minute’s drive north of Seacove Resort. Driving to Noosa along the David Low way is a beautiful coastal drive and we recommend making stops at Peregian and Sunshine Beaches - both coastal villages - along the way. Mooloolaba is approx 25 minutes south of Seacove Resort and features the fantastic Underwater World Sealife Attraction with over 10,000 amazing creatures. There are a number of Shops and Restaurants located in Coolum. Coolum Beach Surf Club is about 1.3 kilometres to the south and offers a wide range of meals and icy cold ales to be enjoyed whilst overlooking the beautiful main beach. 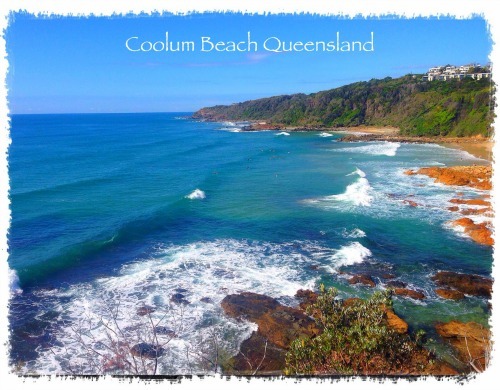 Coolum Beach also enjoys a range of flavours with Mexican, Thai and Modern Australian Cuisine on offer. Feel free to pop into reception to ask Robbie or Kim-Leigh their choice for a great holiday meal. Coolum offers spectacular walks along the beach and one of our favourites is the board walk which stretches from the Surf Club up to Point Perry. A wander along the boardwalk with a hot coffee in the early morning is a great way to start the day. A stay at Coolum would not be complete without a hike to the top of Mount Coolum, Australia’s second biggest monolith standing over 207 metres high. From the top, Mount Coolum delivers breathtaking 360 degree views of the Sunshine Coast with Noosa National Park to the north and the high rises of Mooloolaba and Caloundra to the south. There are a few different options with a Coles shopping centre located 800 metres to the south. There is also a Woolworths located on South Coolum Road, or if you want to try something local we would recommend The Shop located opposite the surf club.